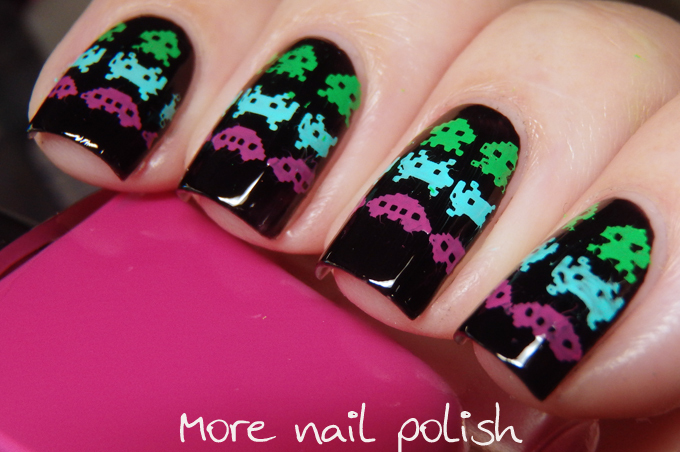 Day four and I bring you the 1970s with some classic Space Invaders. 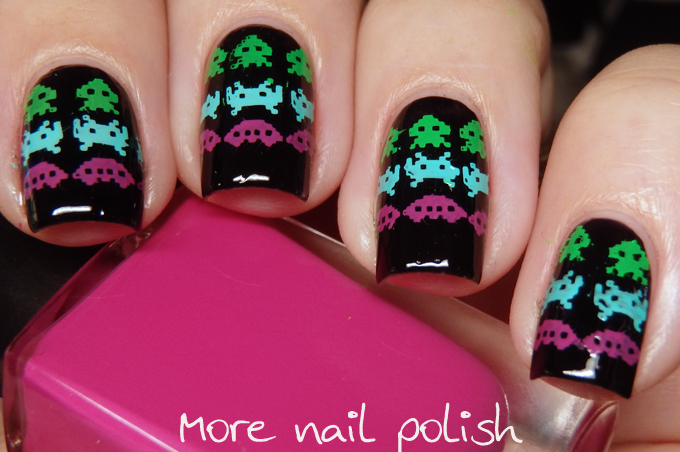 Now I got thiese images off one of the Moyou 1980s plate, but google assures me that space invaders were definitely invented in the late 1970s, and I have no reason to doubt google, cause everything you read on the internet is right. Am I right? Even though these images were from a stamping plate, these took me ages to create, because I wanted to be authentic to the game. The image on the plate has a mix of different critters on each line, whereas the real game has the same critter on each line. This meant I actually had to stamp every image individually. Yep I was that committed. All I can say is thank god for clear jelly stampers, cause there is no way I would have been able to achieve this without one of them! In other news, I did a sneaky bit of walking on my foot today. I'm not suppose to be walking on it yet, my next check with the surgeon is 20 Jan, but it didn't hurt and it feel so amazing to be able to hobble around a bit instead of using my wheely knee scooter. Oh my what a pain to stamp each one individually! It was worth it though! Oh so fun! 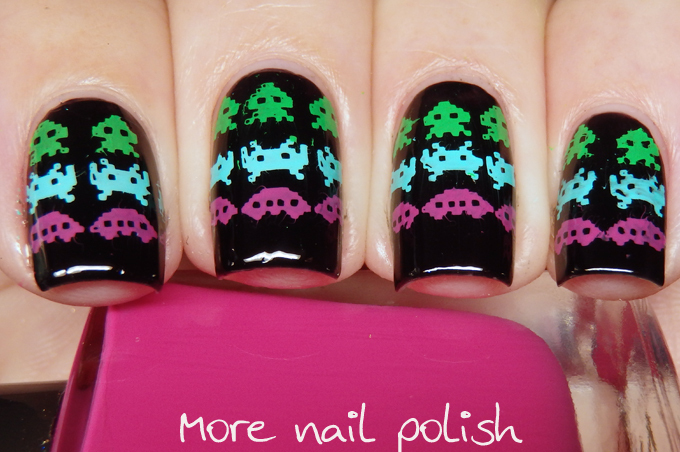 My brother kept suggesting video game nails but all the ones he mentioned were too new! Haha! Love these! And yes. Everything on the internet is accurate! The opacity of that polish you stamped with is amazing! This is really lovely, and I'm amazed that you were able to line the images up so perfectly. Even with a clear stamper that looks tricky! I love them! Games through the ages is a fun idea too! I can't imagine how long these took to individually stamp each image but the pay off was worth it! These are so much fun!! I can't believe that you went to the trouble of individually stamping each little guy. That's awesome haha!